Waterproof and breathable down parka. 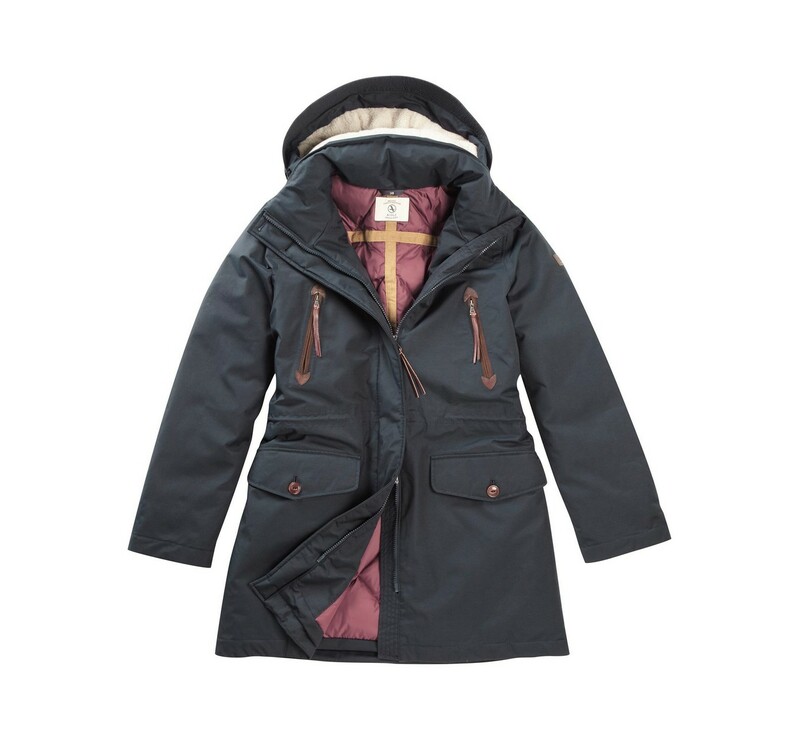 This duck down parka offers exceptional protection thanks to its waterproof and breathable material. The padded interior and leather detail give it a strong modern look. Details: two-way front metal zip closure, leather pull tab, removable hood with fleece lining, real leather detail, contrast lining and edging, single inside flap pocket, adjustable waist and leather Aigle logo. Outershell : 59% cotton, 41% polyamide. Body and sleeves filling :70% down, 30% feathers, hood filling 100% polyester.